HomeFeaturedLAST WEEK to RSVP for the Installation Ceremony and Cocktail Reception! 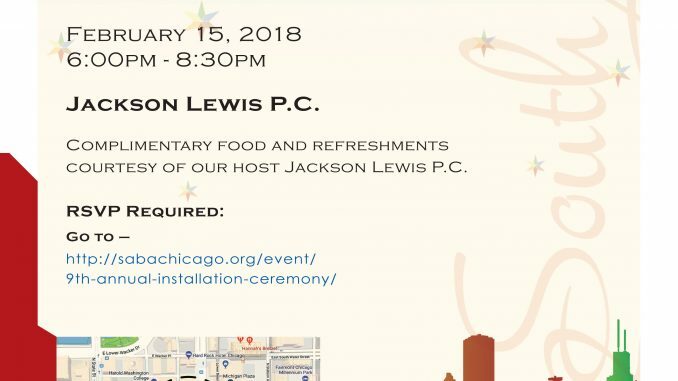 LAST WEEK to RSVP for the Installation Ceremony and Cocktail Reception! courtesy of our host Jackson Lewis P.C. RSVP Required. (Use the form below).